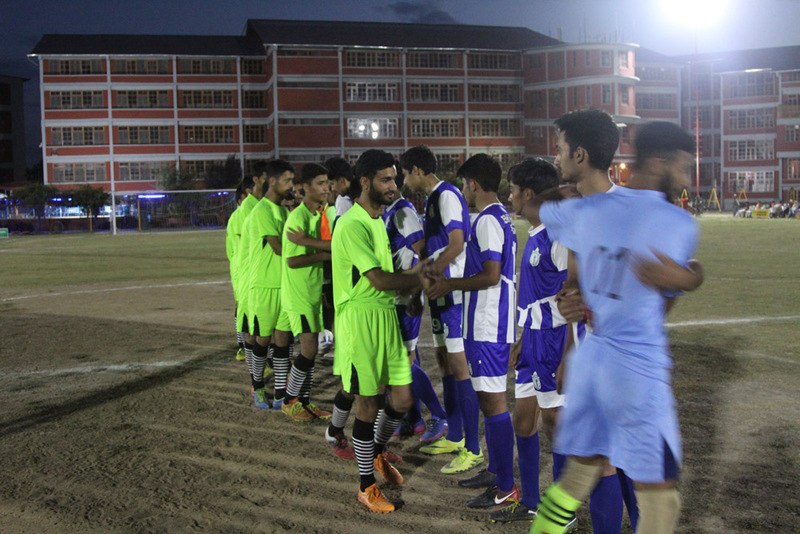 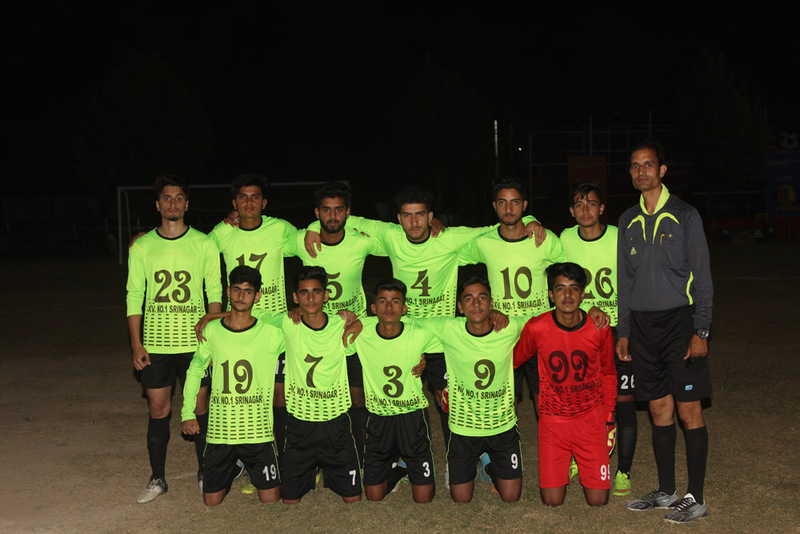 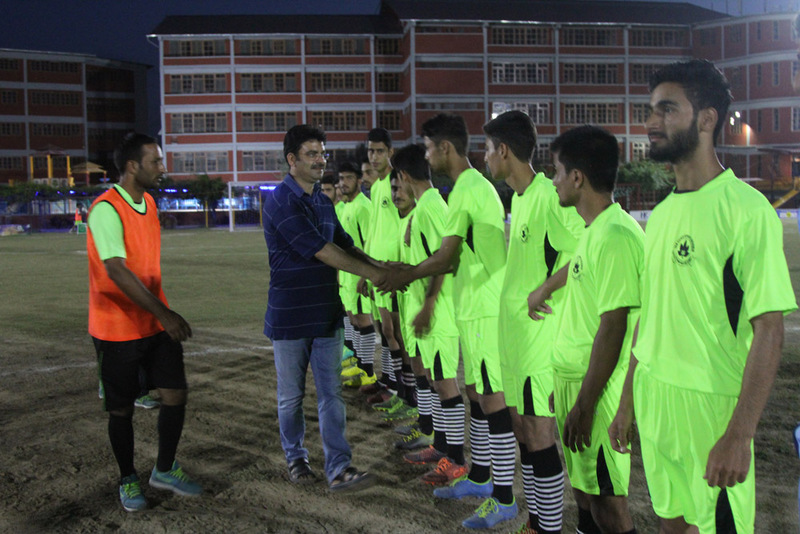 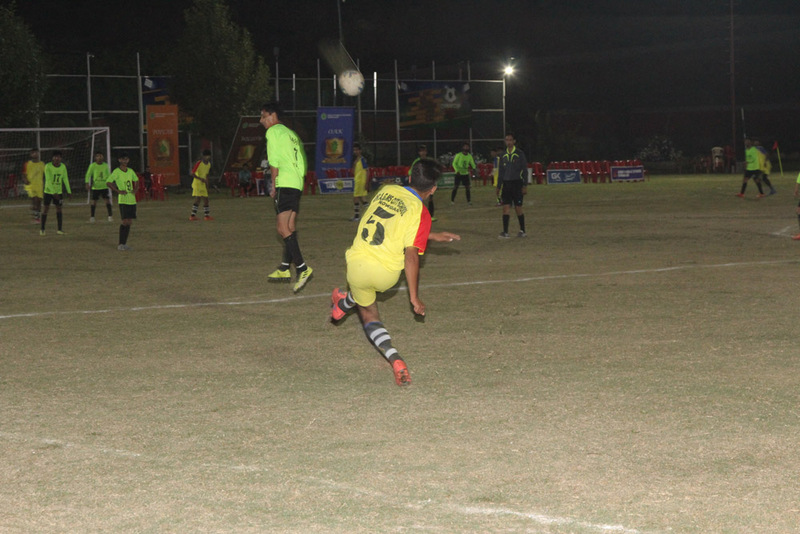 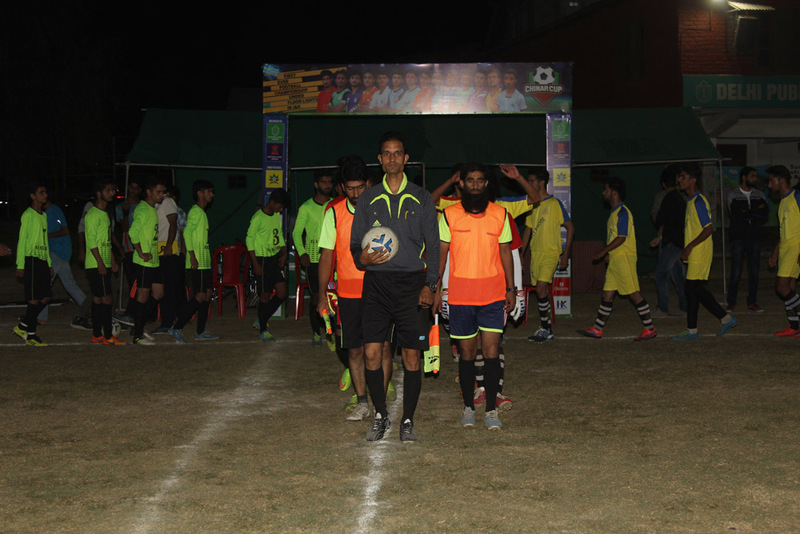 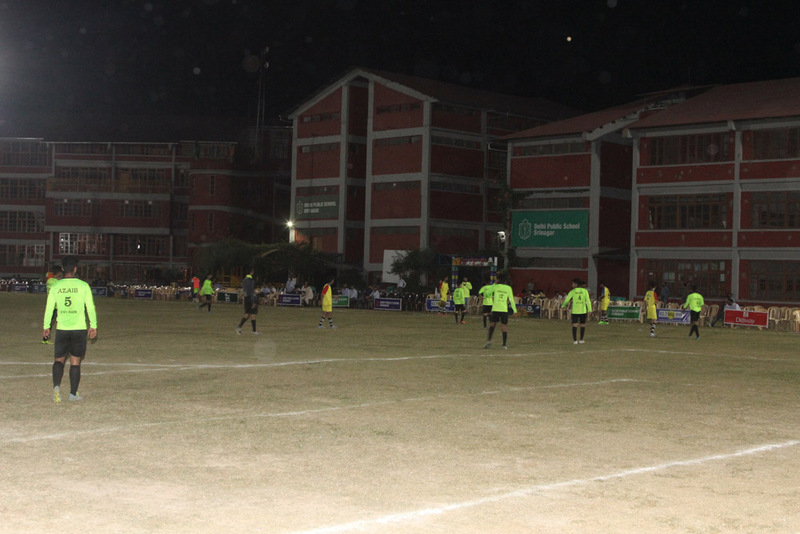 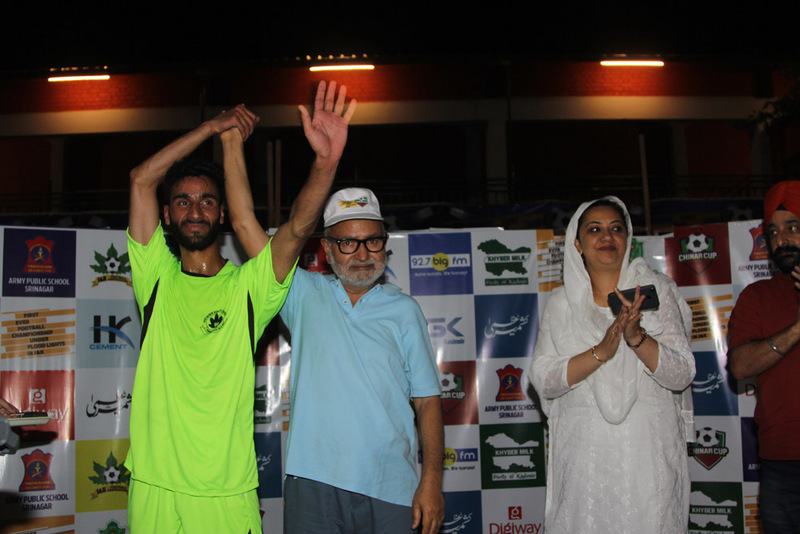 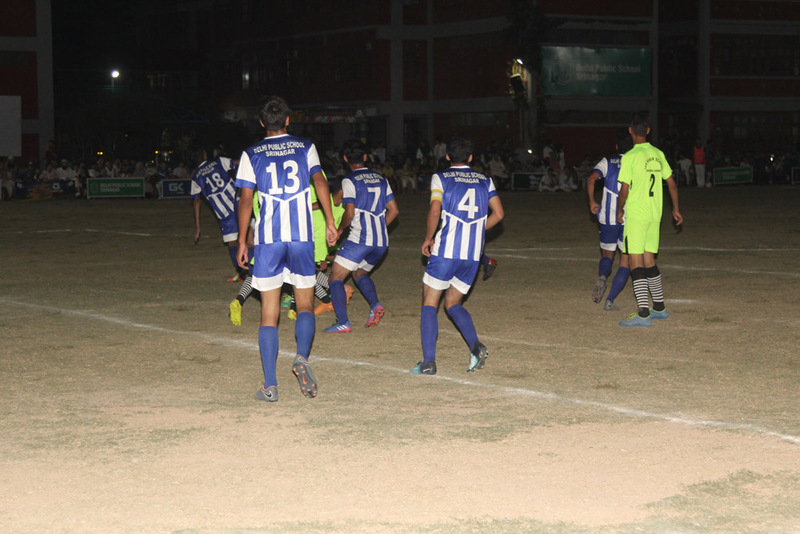 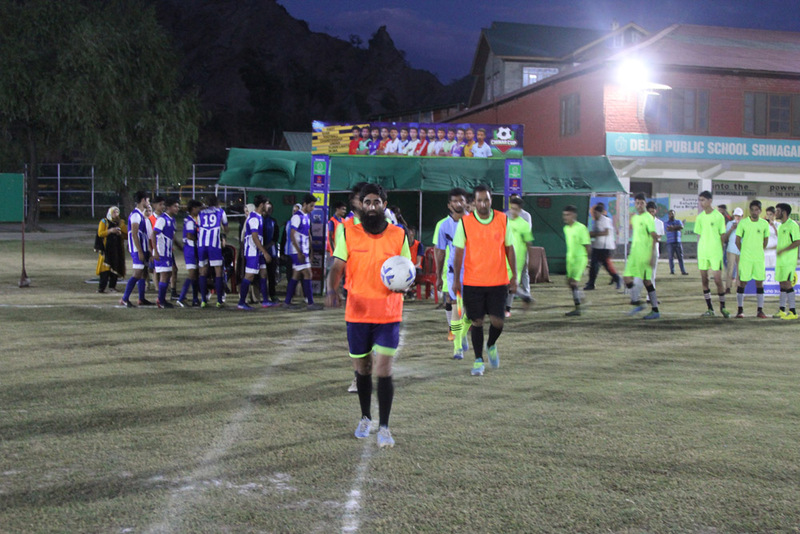 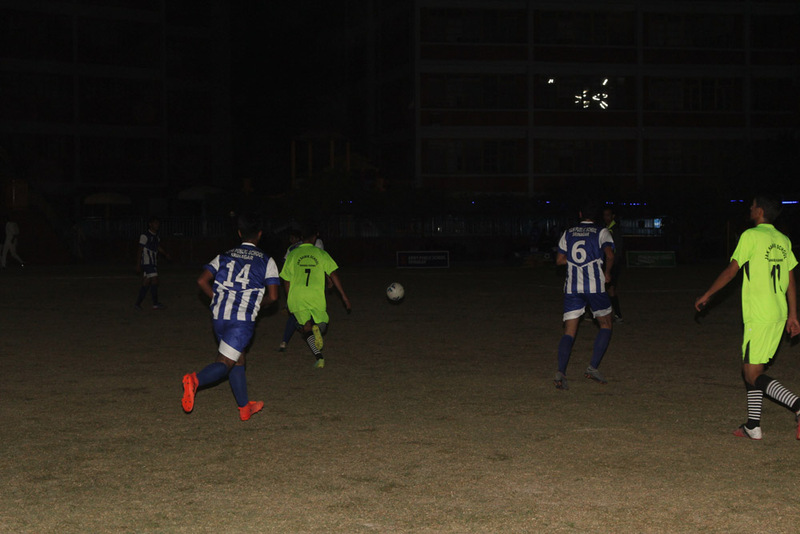 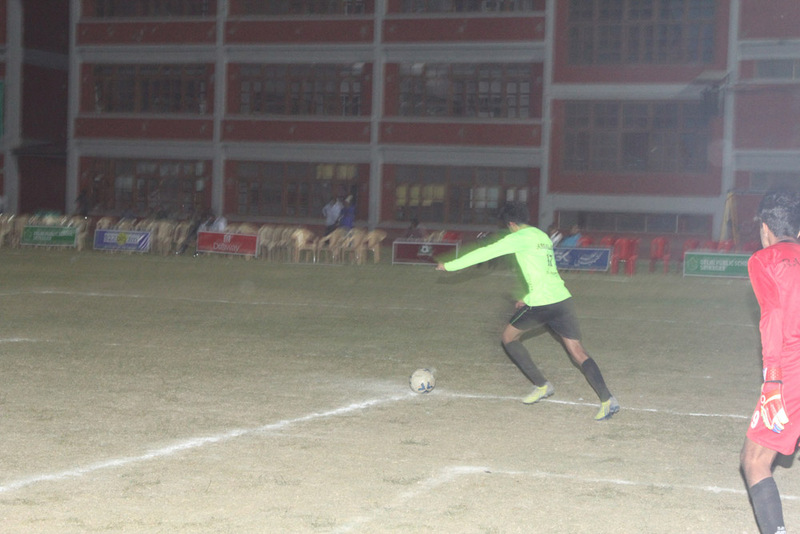 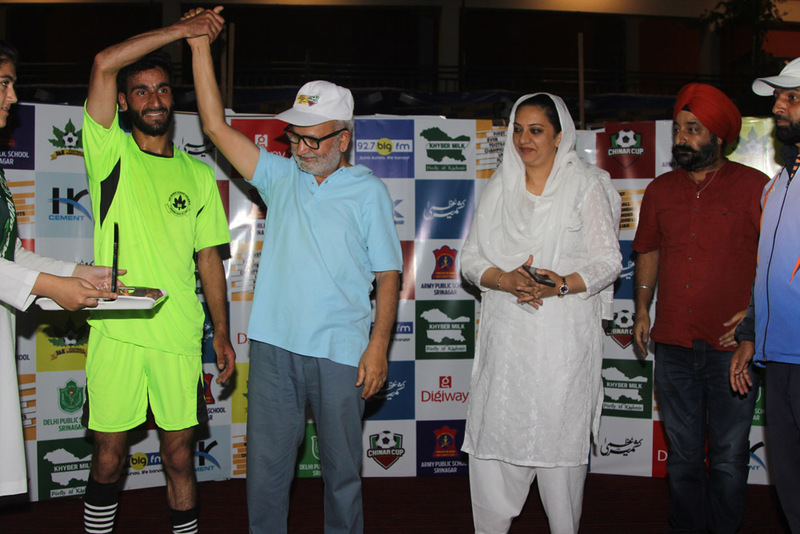 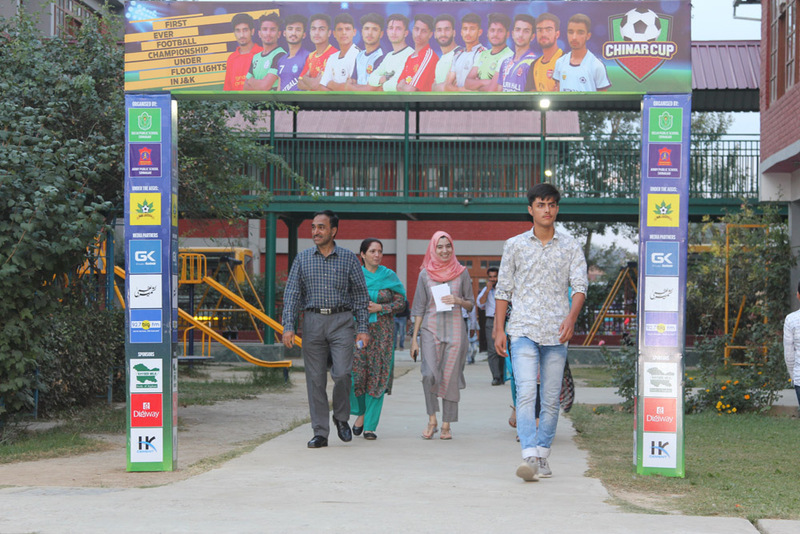 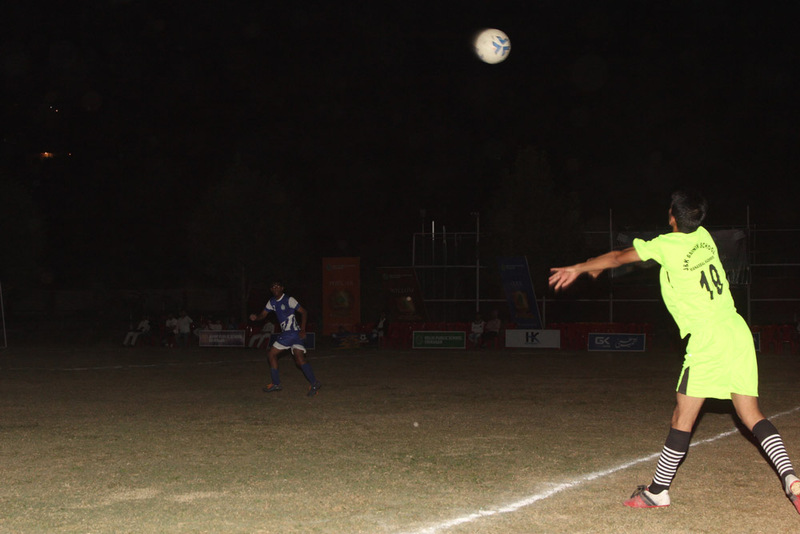 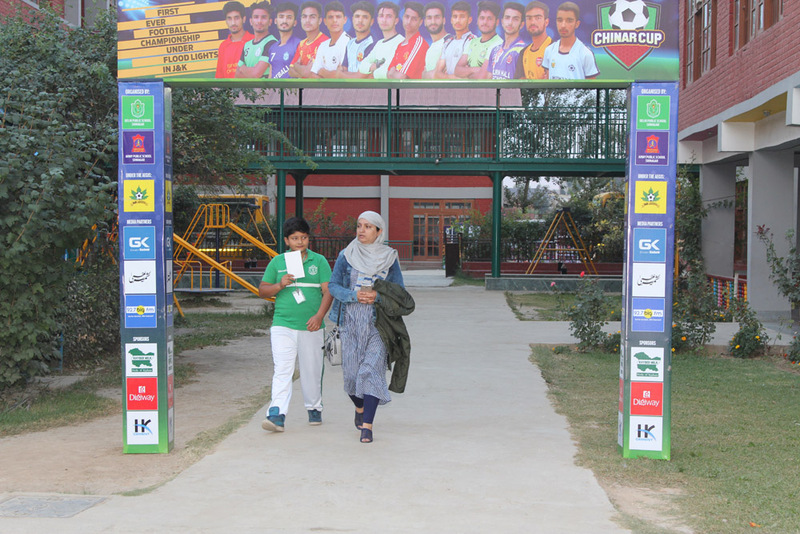 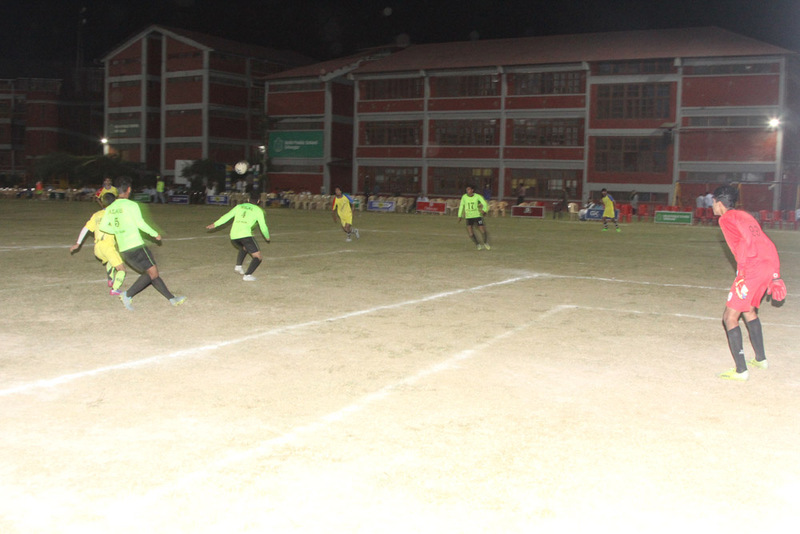 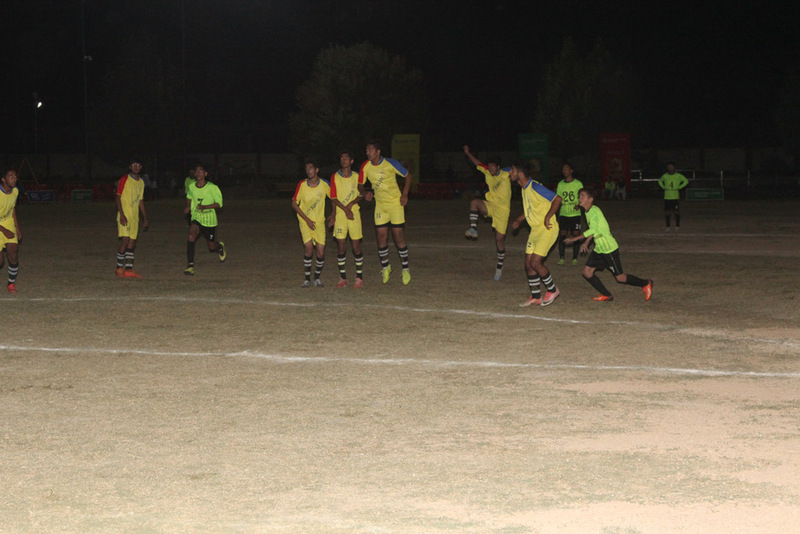 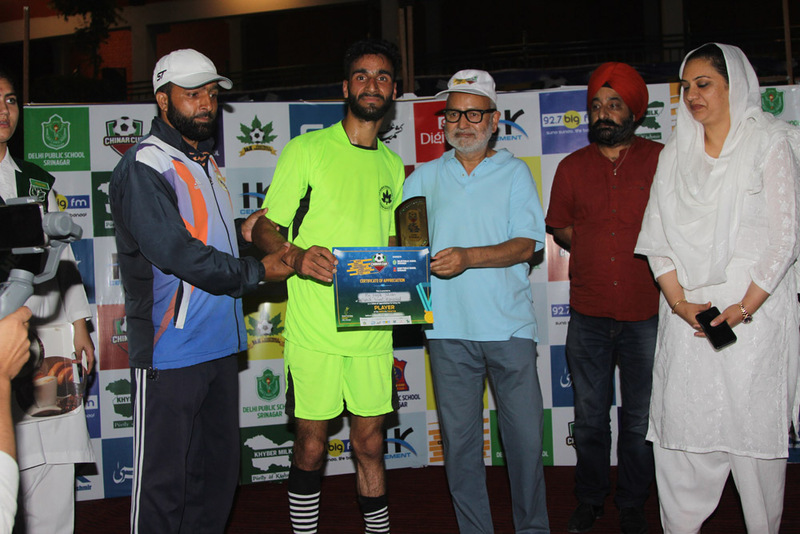 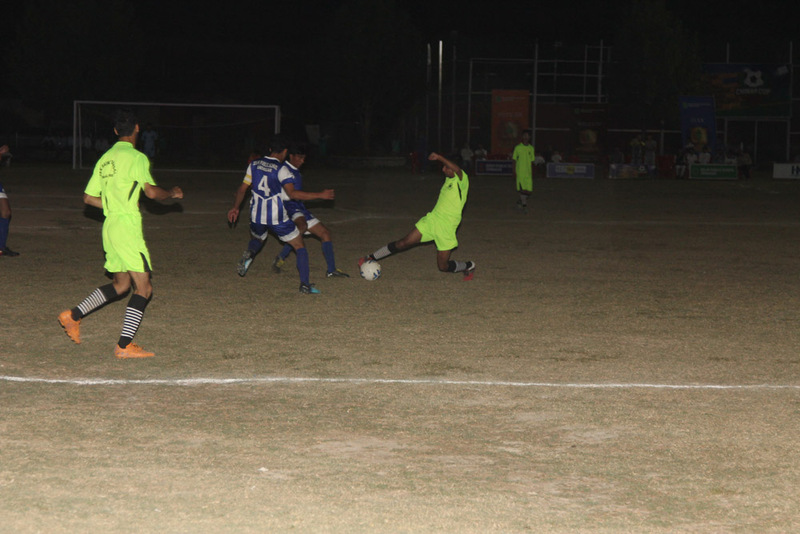 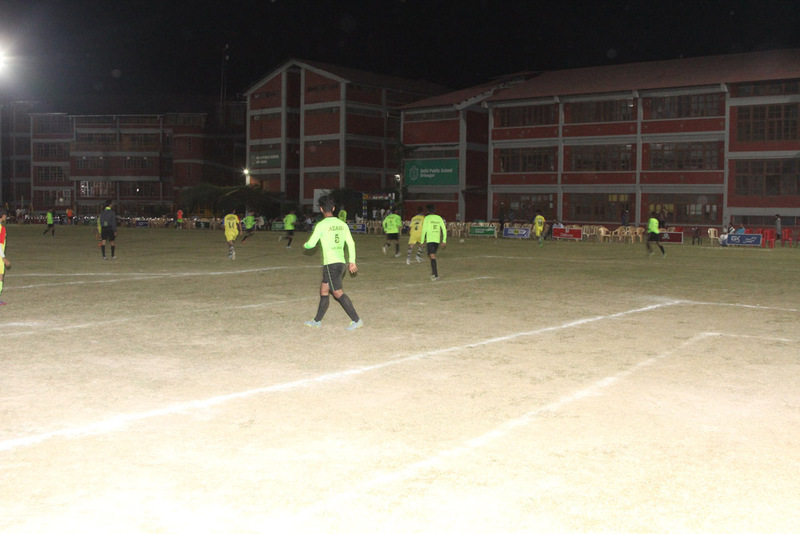 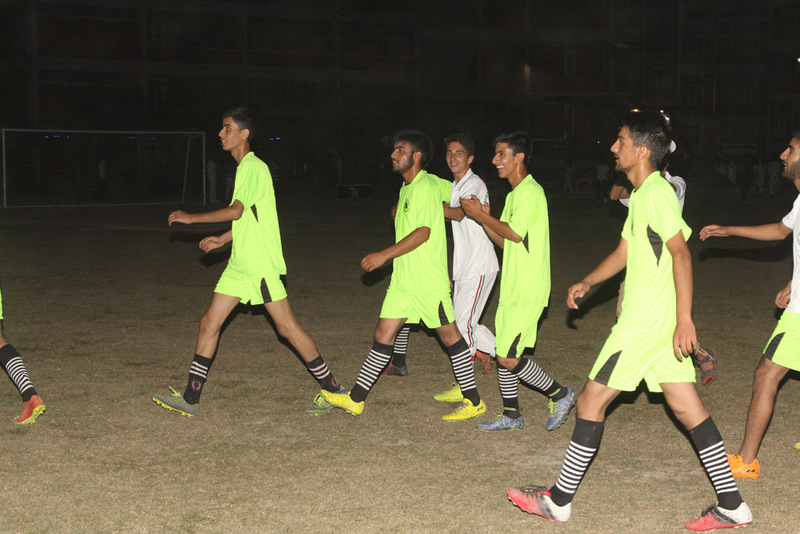 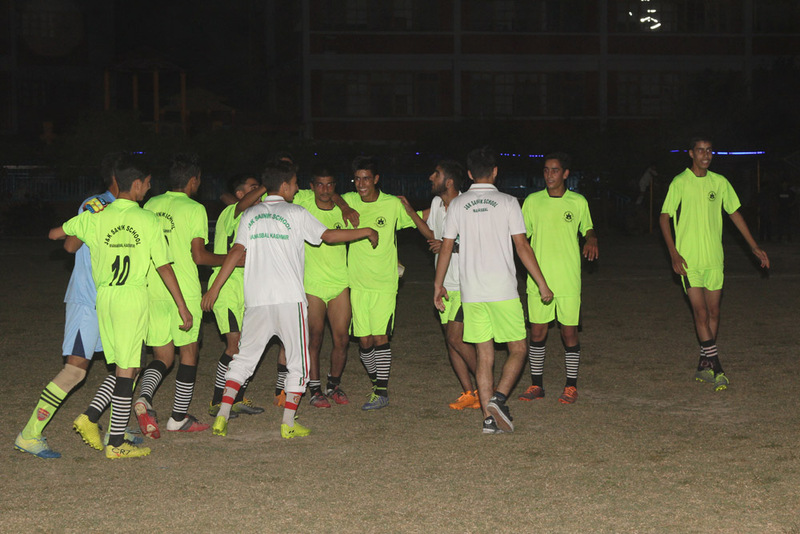 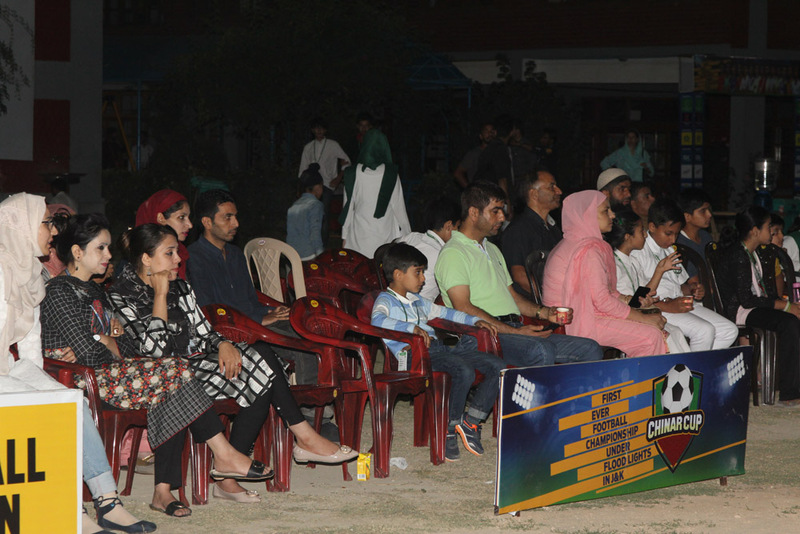 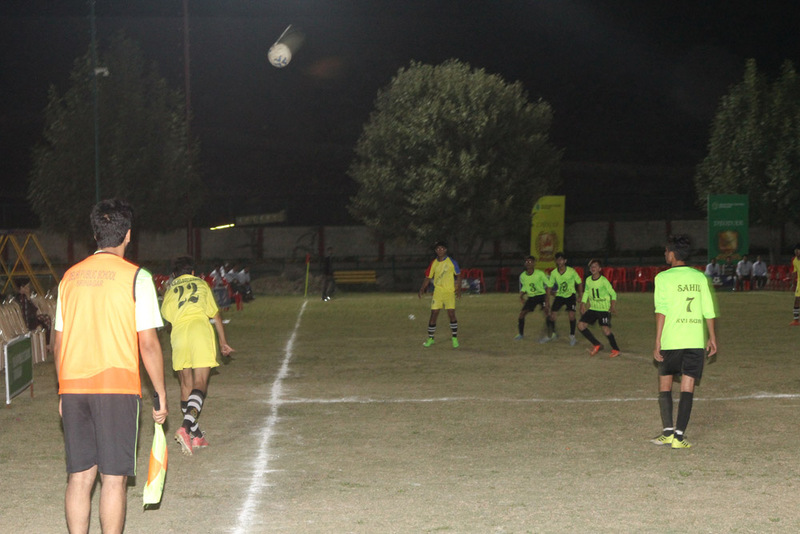 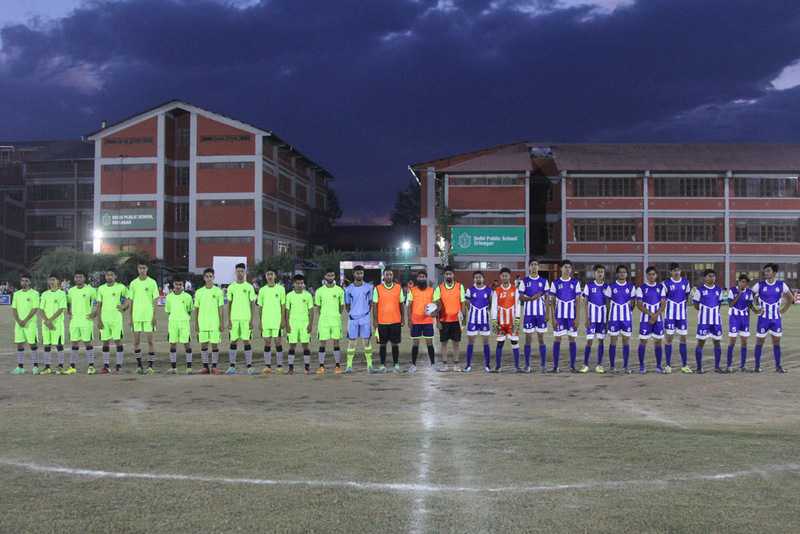 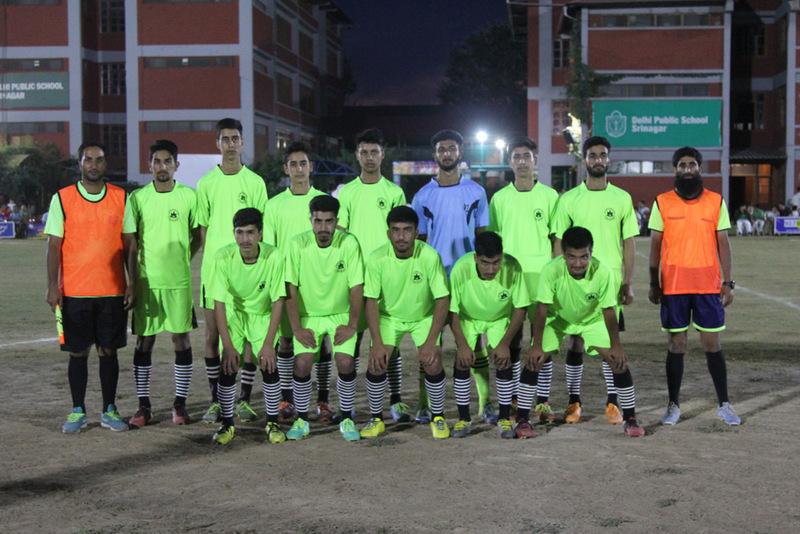 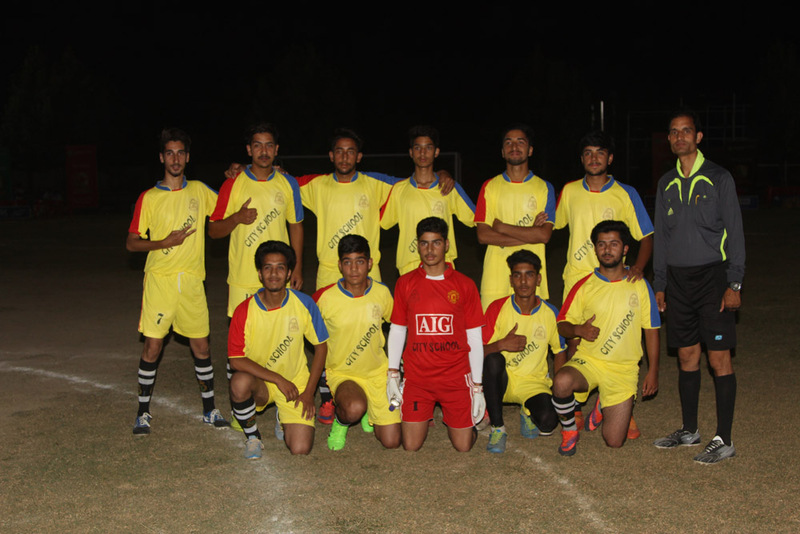 On the third day of the first of its kind ongoing night football tournament ‘Chinar Cup’ J&K being held at DPS Srinagar, Sainik School clashed against DPS B. 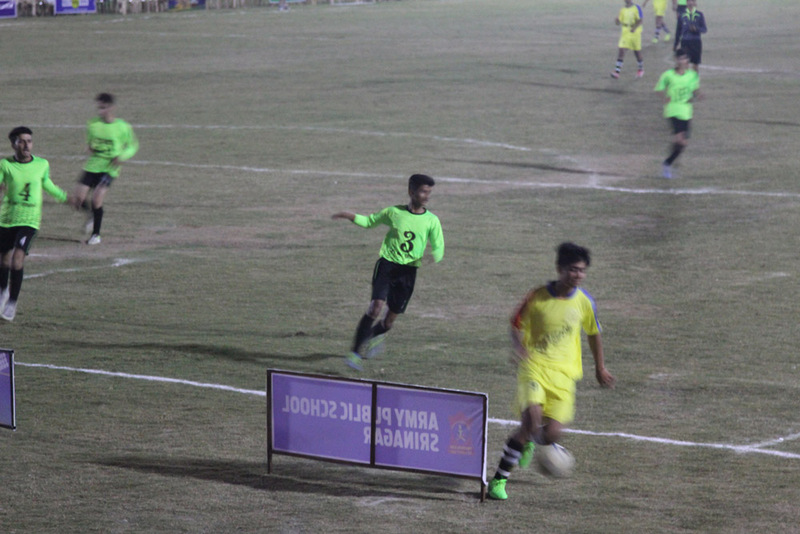 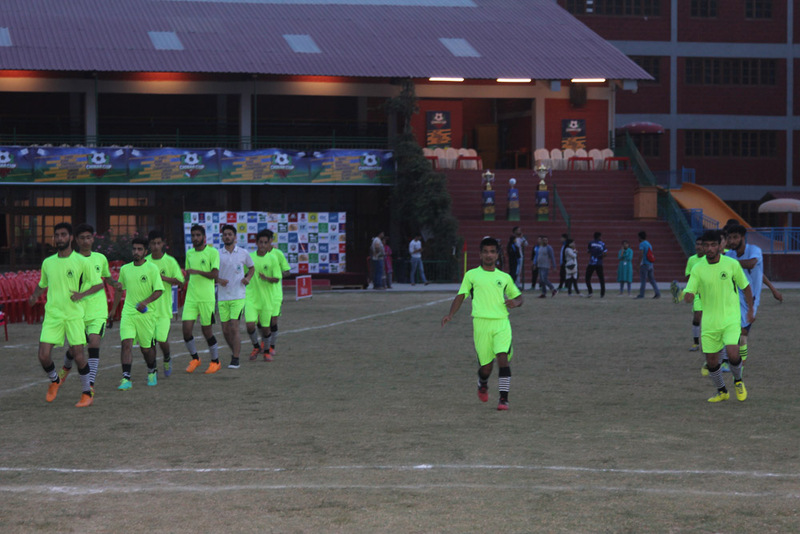 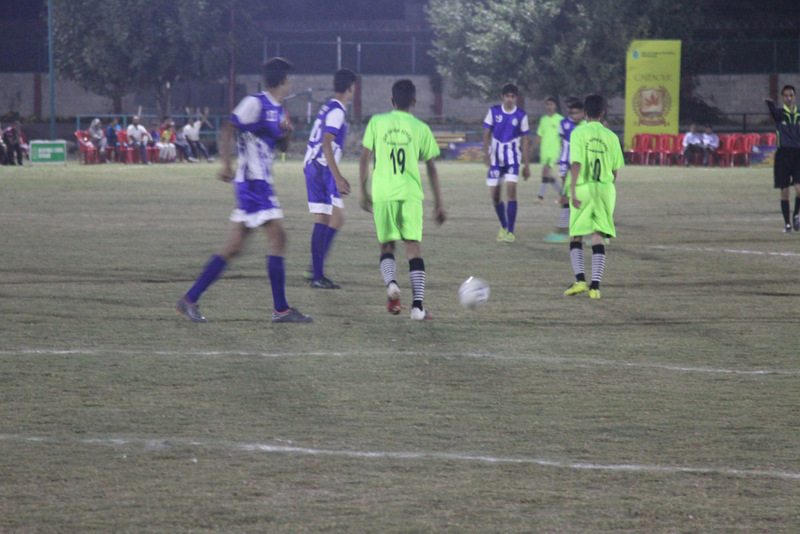 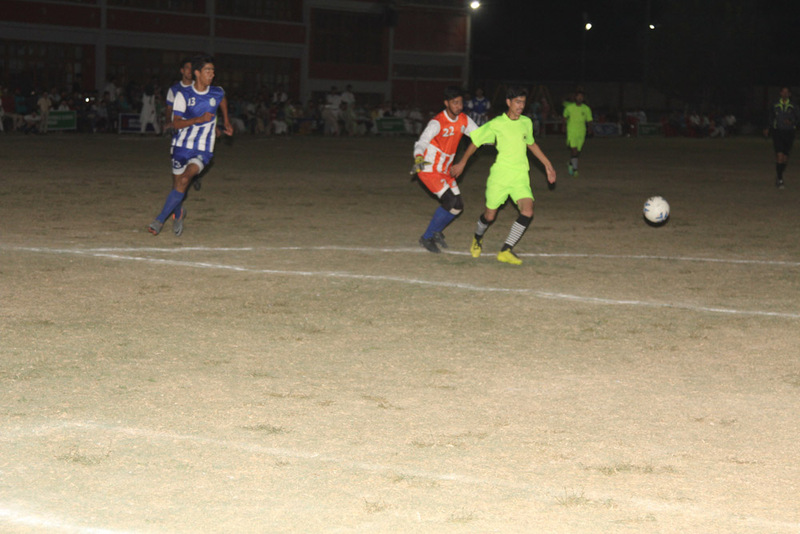 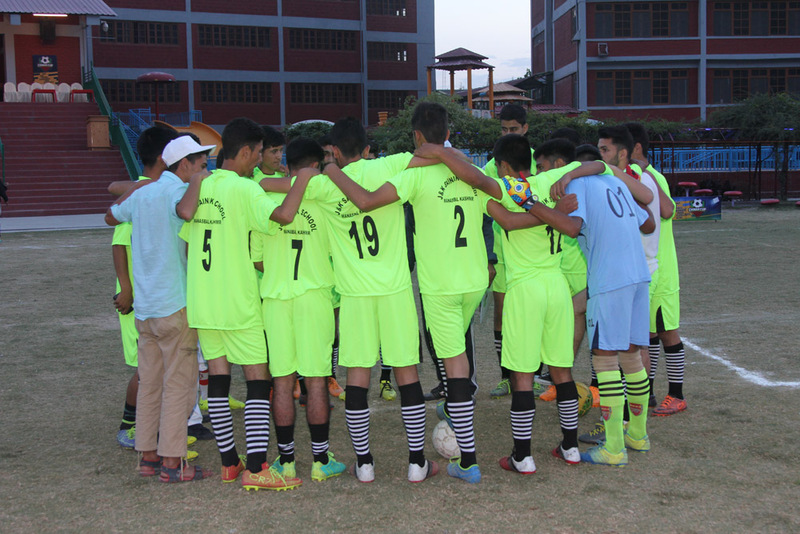 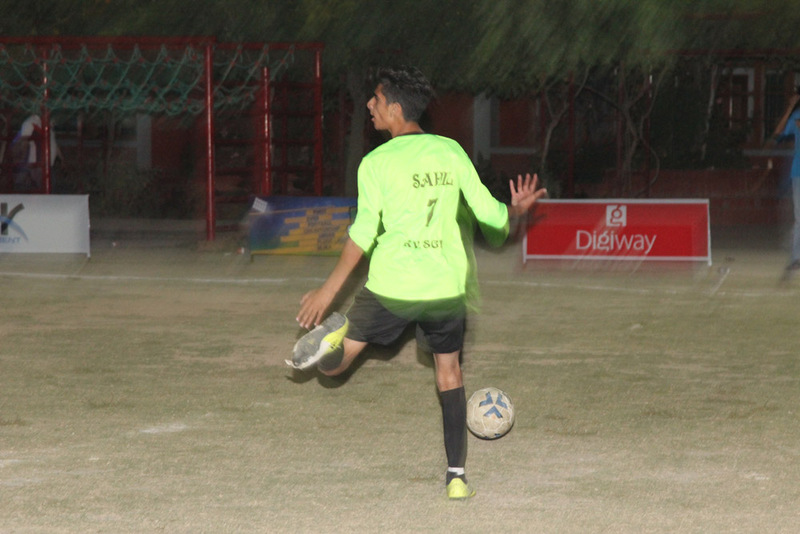 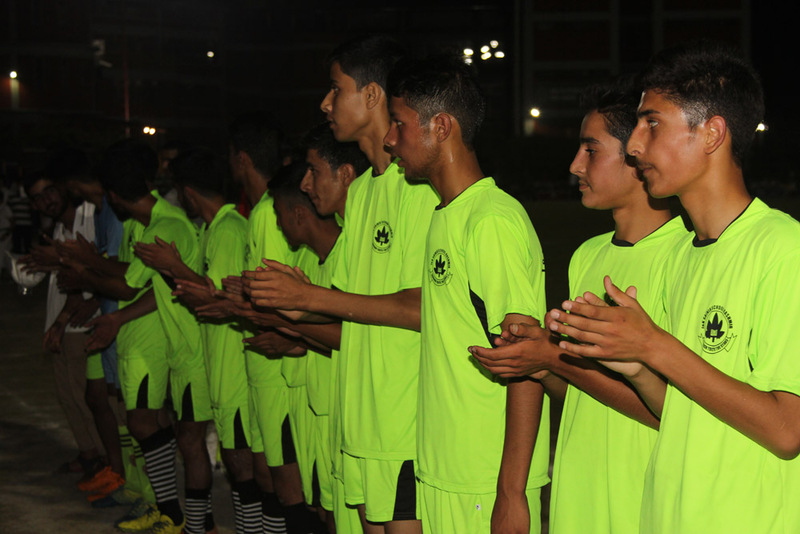 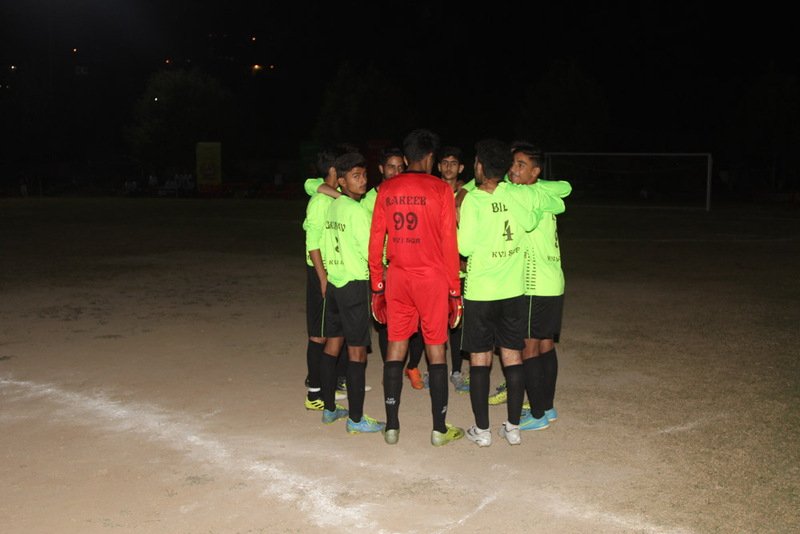 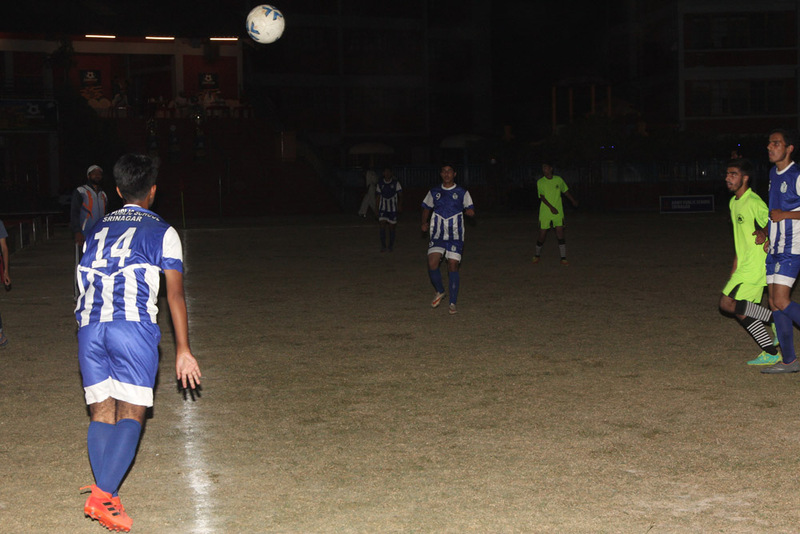 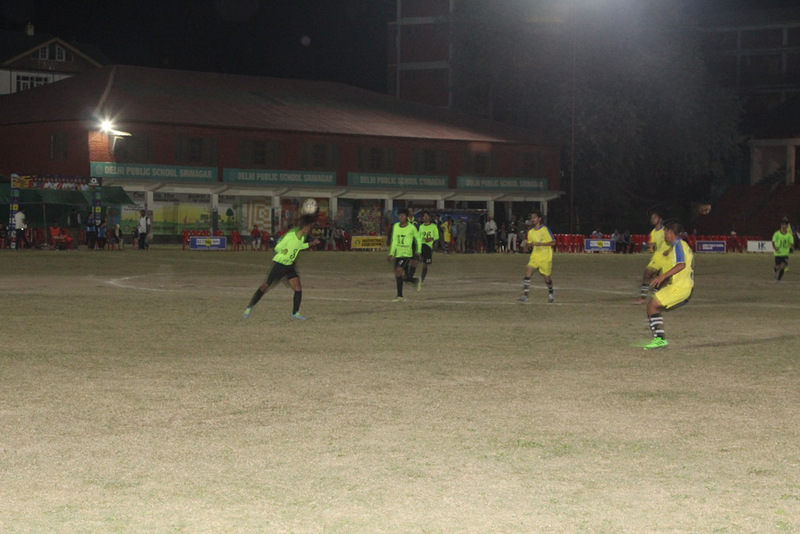 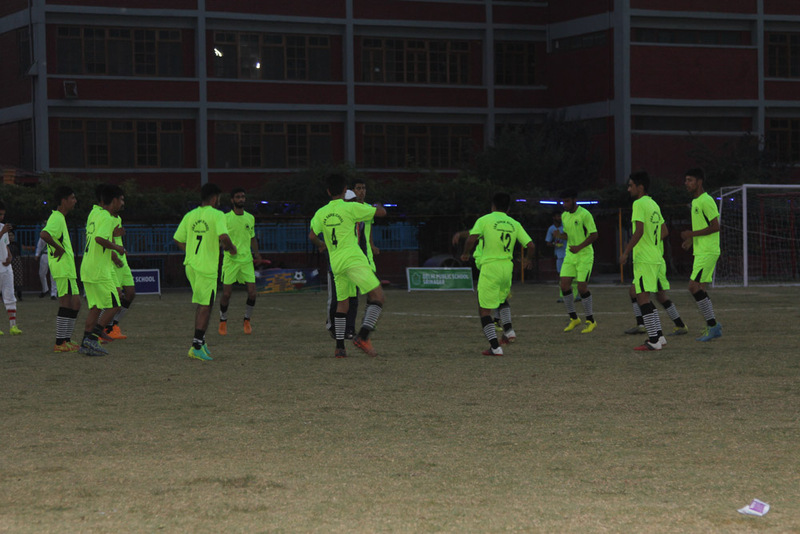 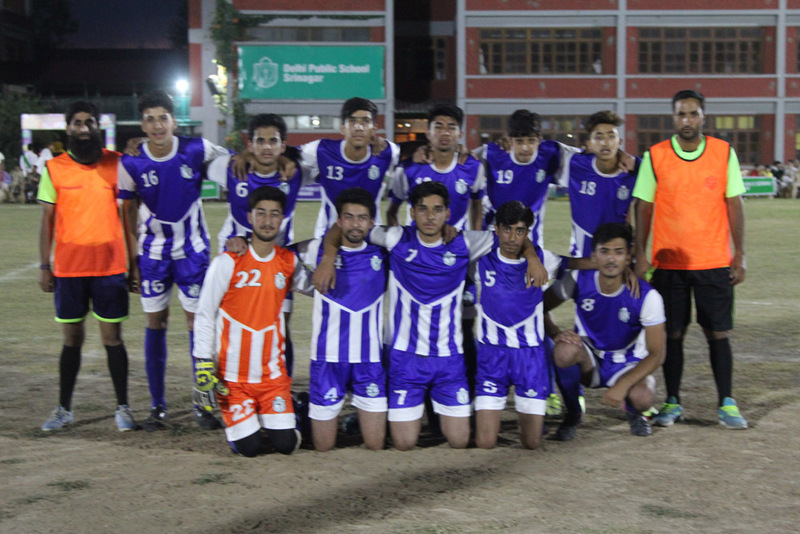 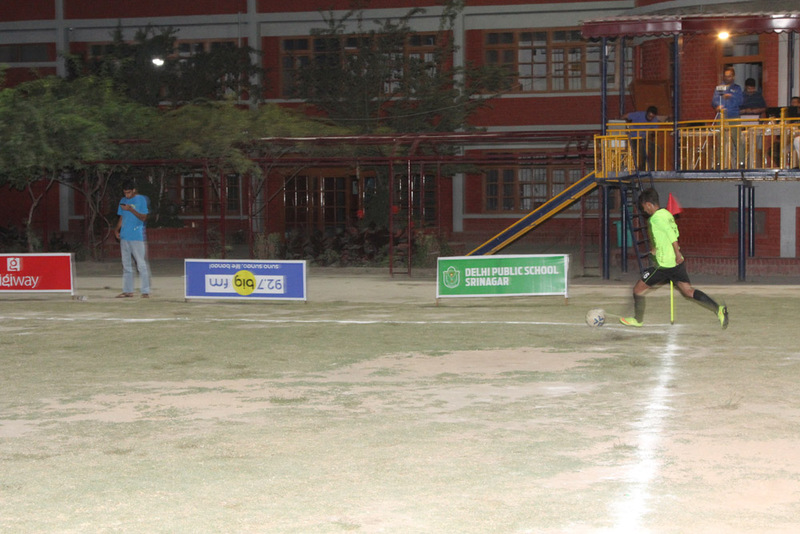 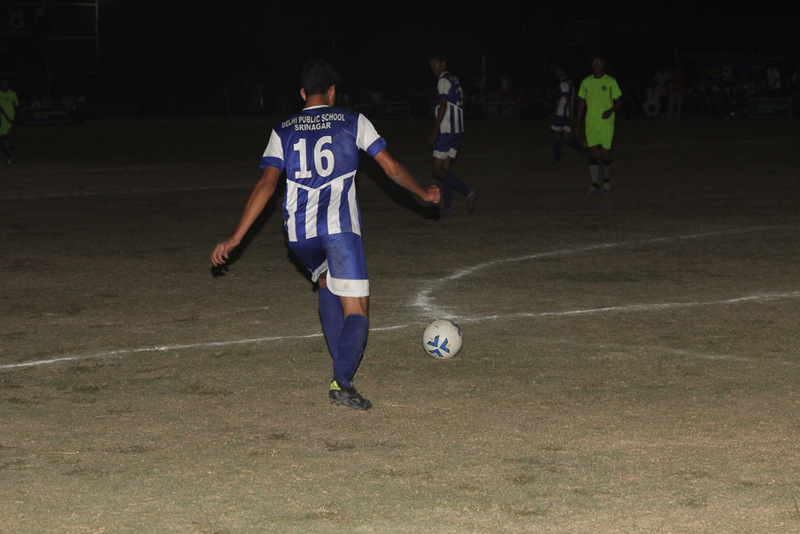 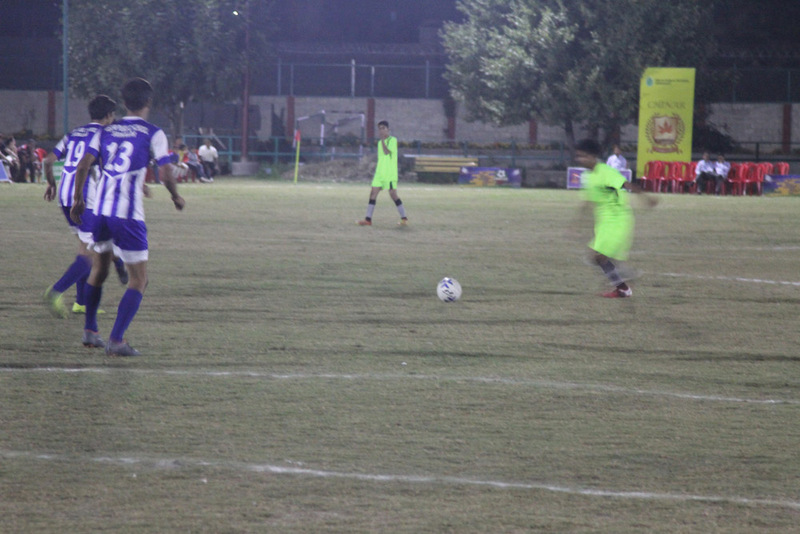 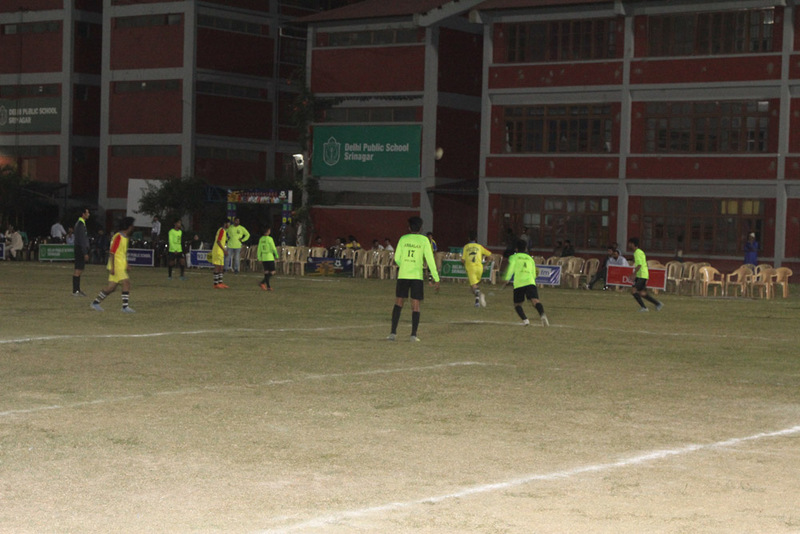 The match was a one sided affair as Sainik School scored five goals while DPS could manage no goal. 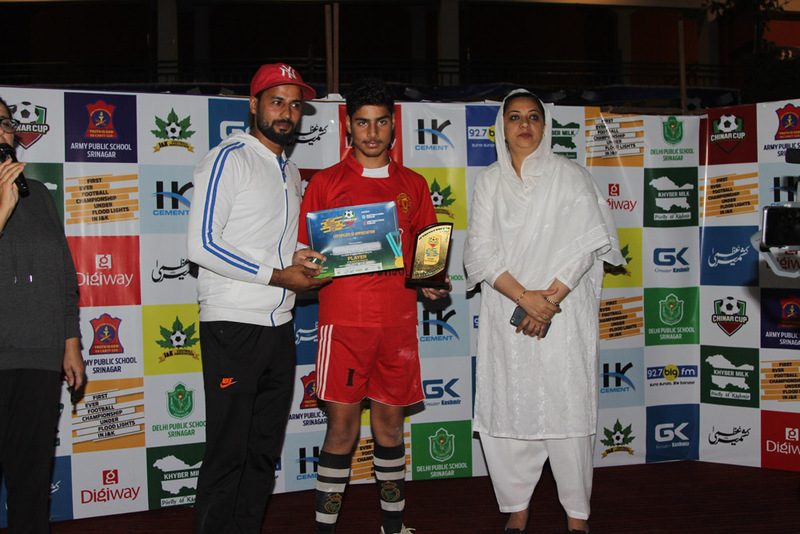 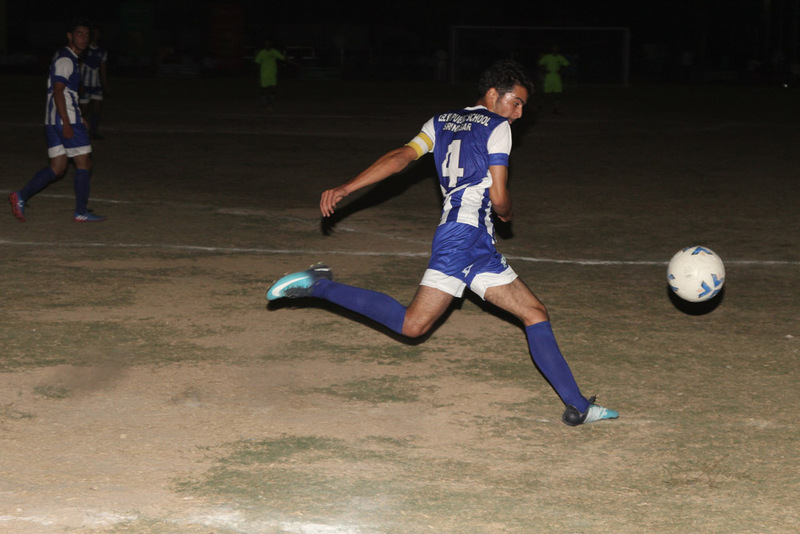 Saqib Shabir was awarded the Man of the Match for scoring a brace. 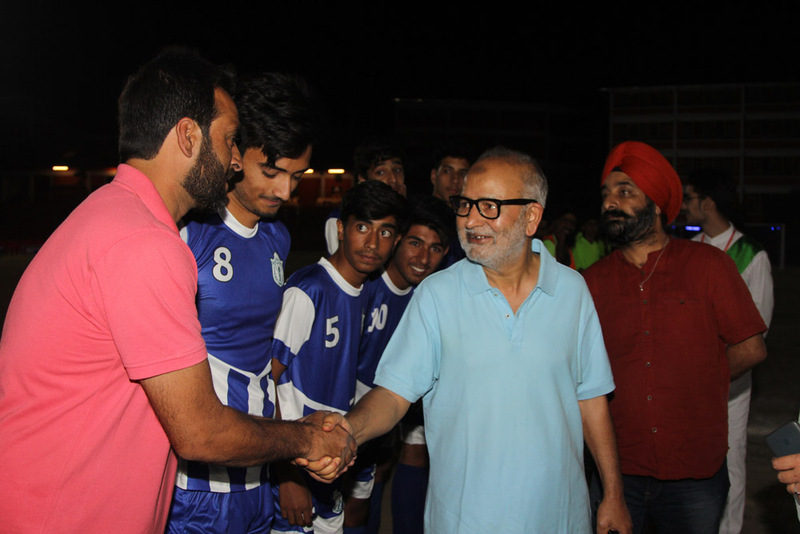 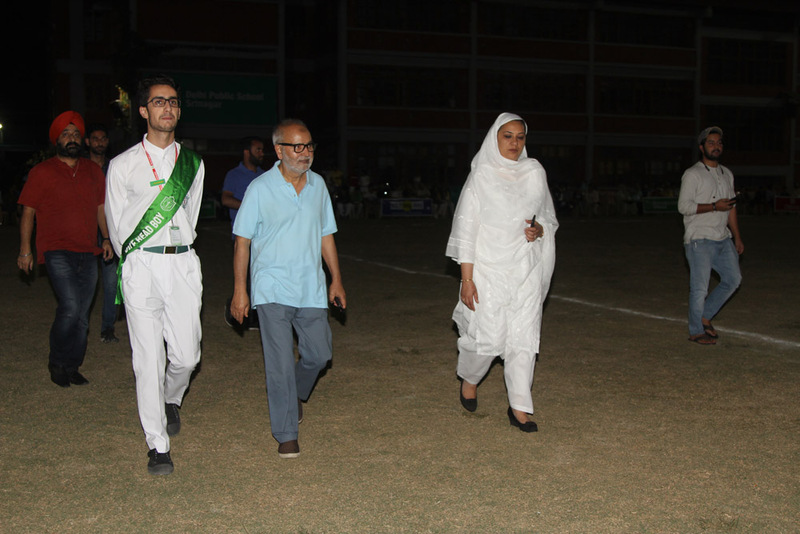 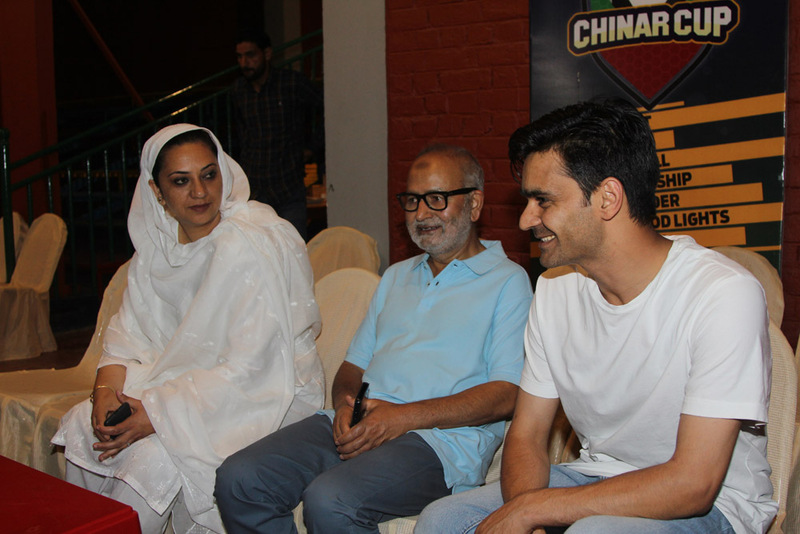 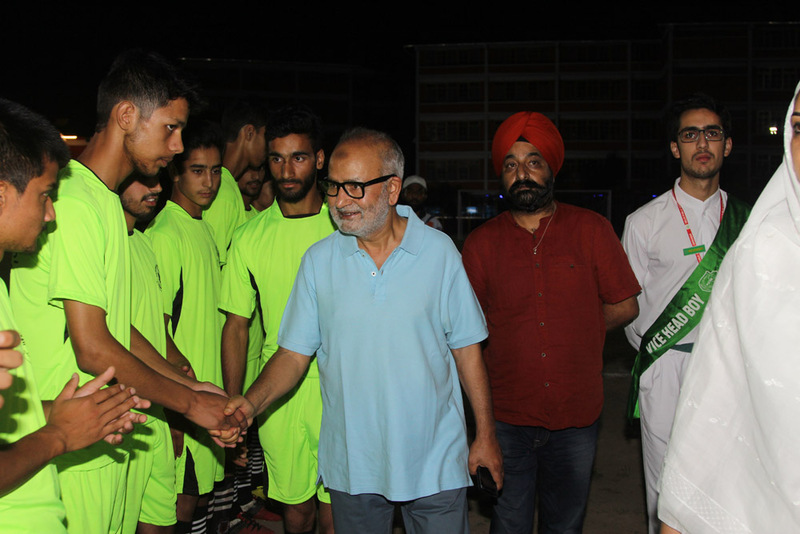 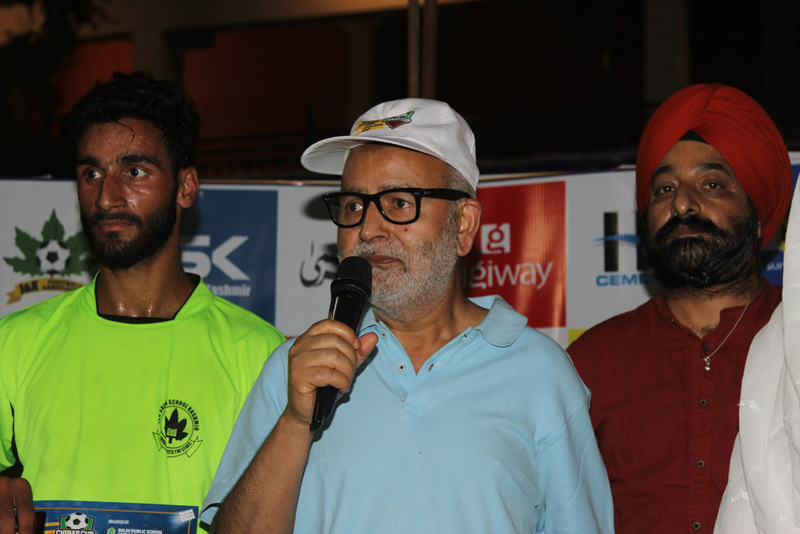 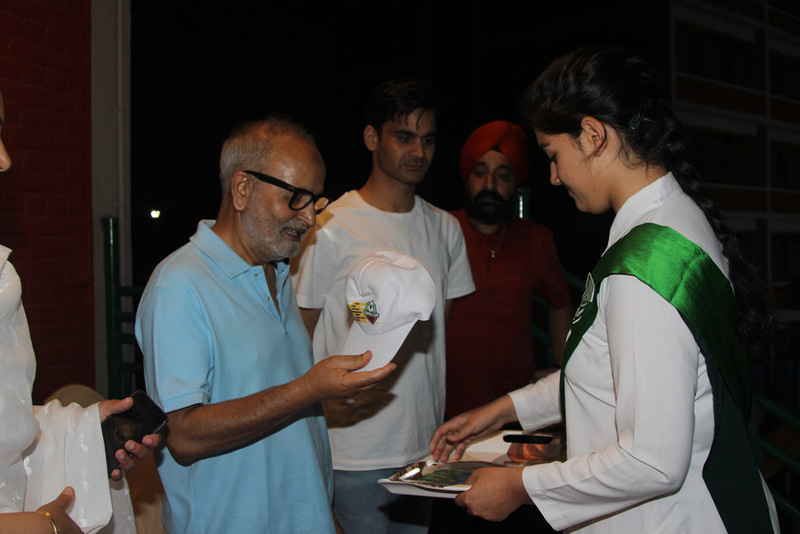 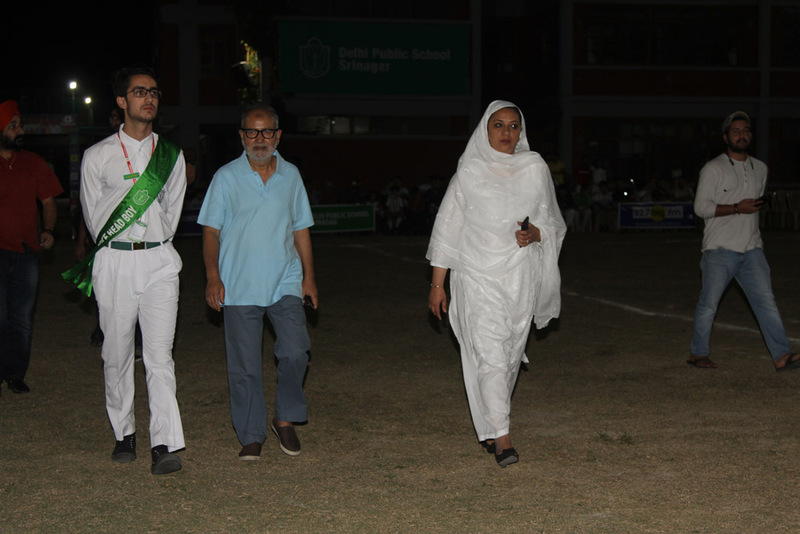 At the presentation the Chief Guest – Mr Naeem Akhter MLC and former minister congratulated the school “for promoting and pioneering a culture of sportsmanship”. 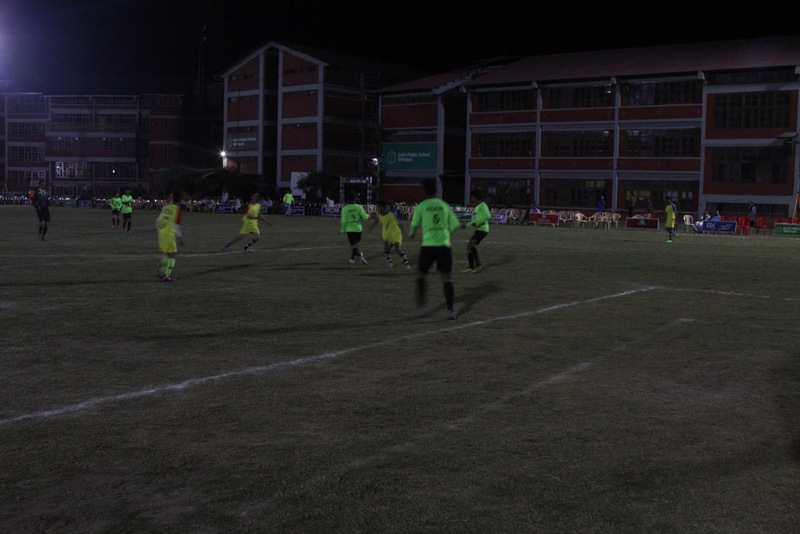 The second match between of the night: KV no. 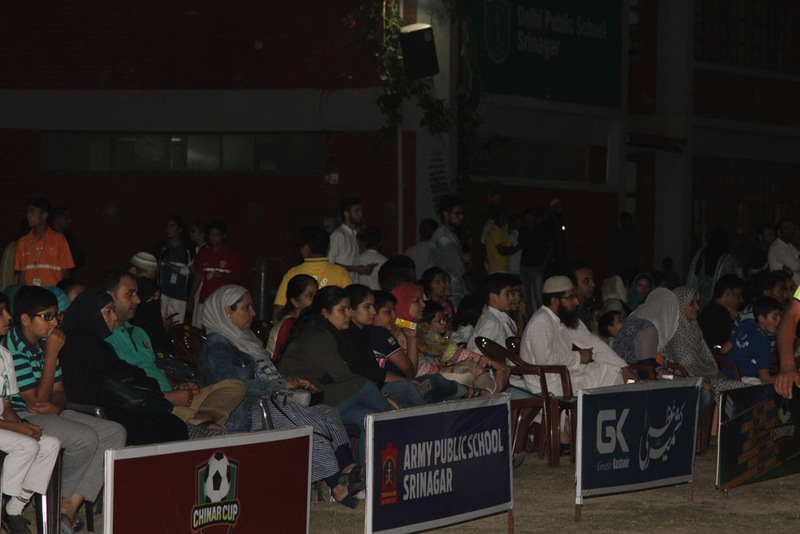 1 and AGM City School proved to be a complete contrast. 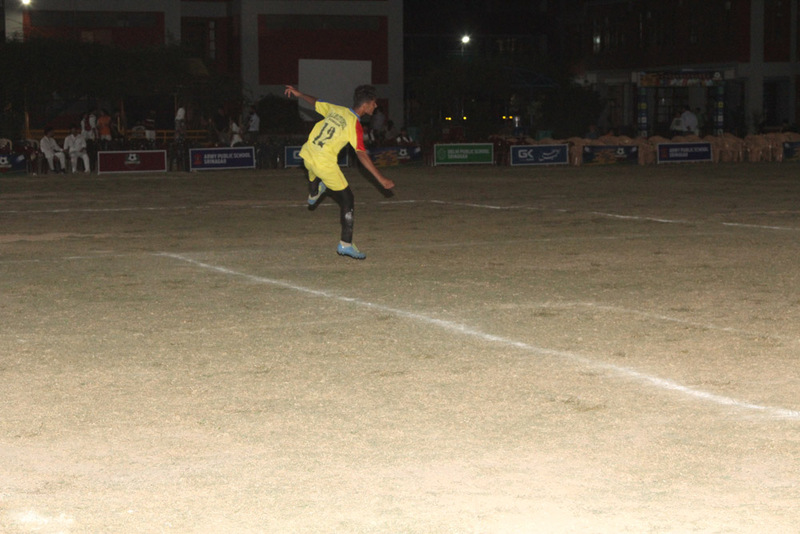 It was an exciting match that went to the wire. 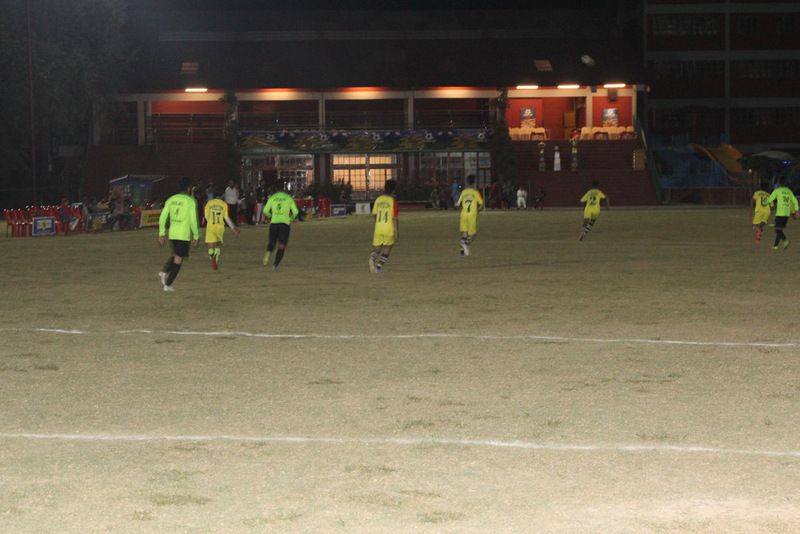 At the end of the first half, the teams were on equal footing each having scored a goal. 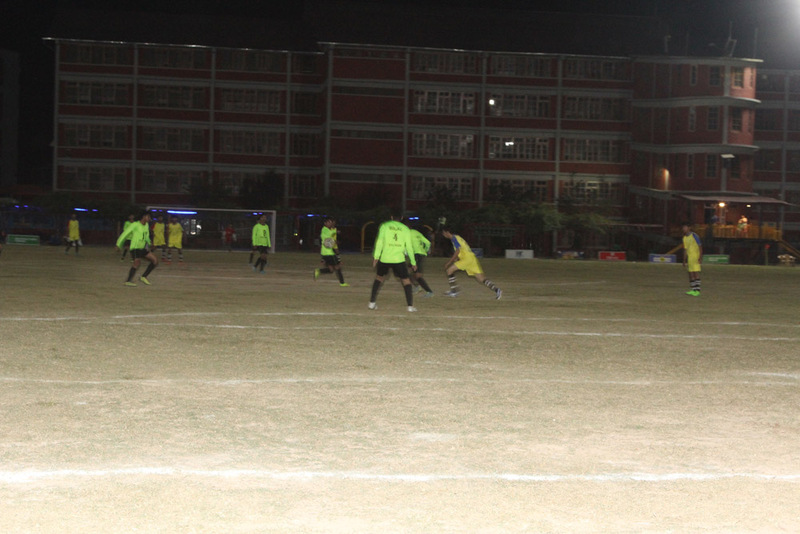 AGM took the lead in the second half scoring a second goal. 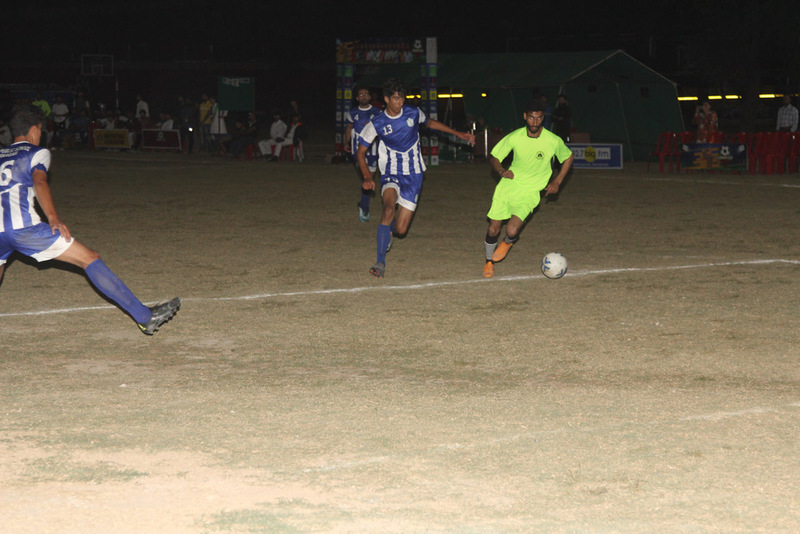 They seemed set to win but for a late resurgence by KV. 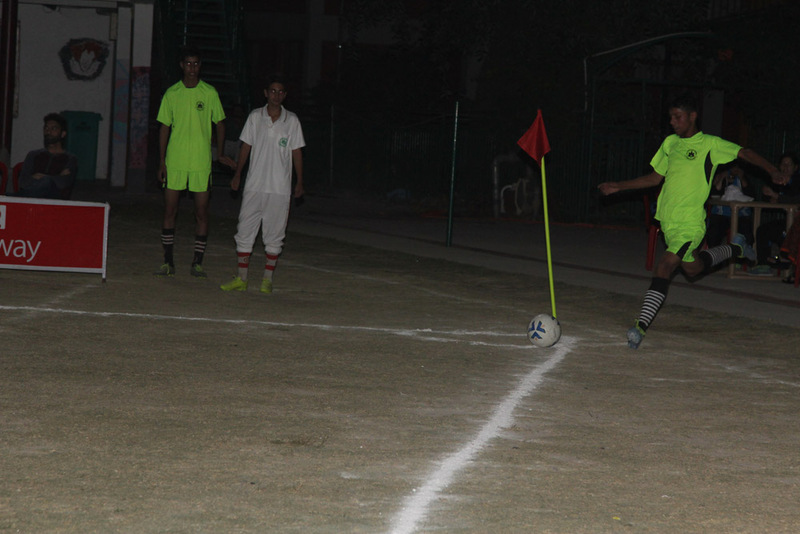 They managed to sneak in two goals on two corners awarded to them and thus won the close match 3-2. 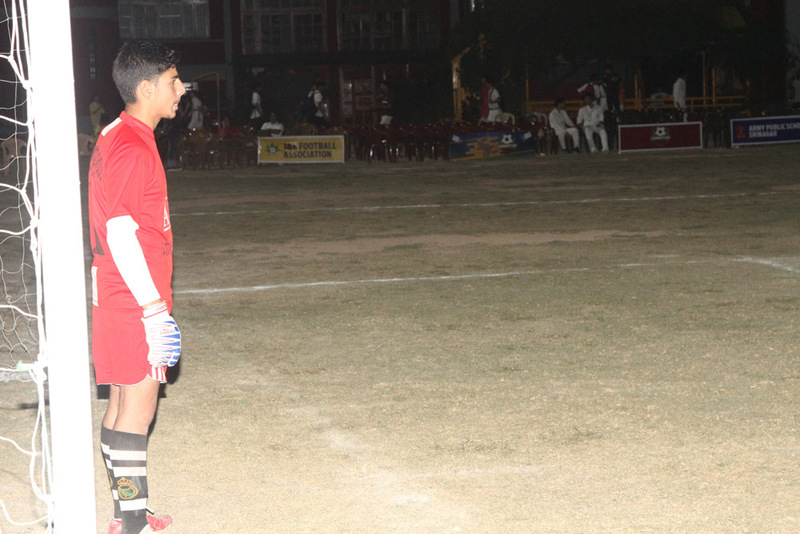 The AGM goal keeper Imran Ahmed was declared the Man of the Match. 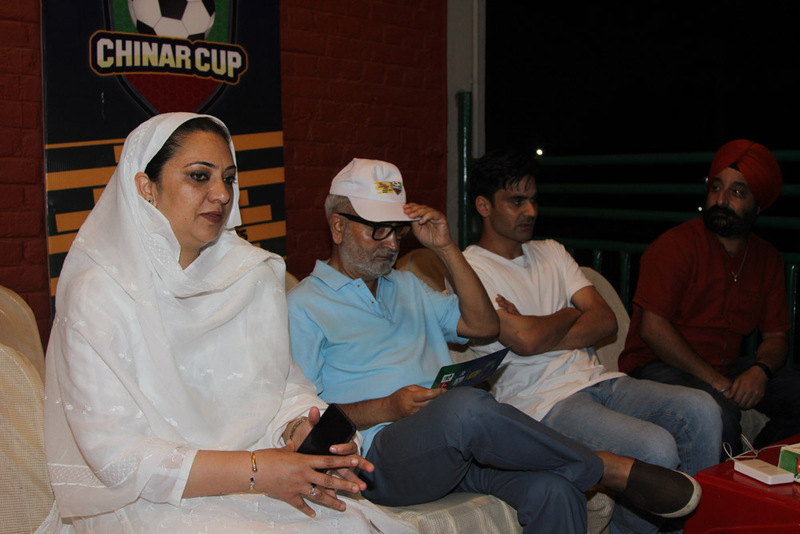 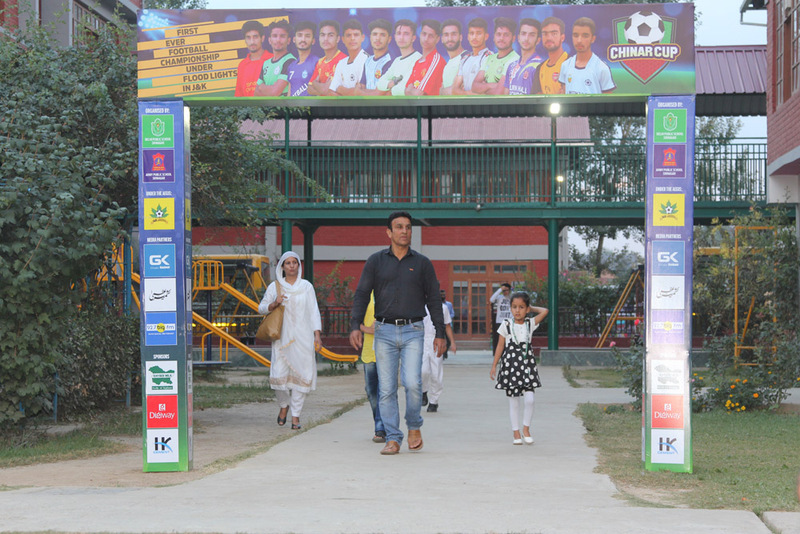 The ongoing tournament is the first of its kind held in the entire country. 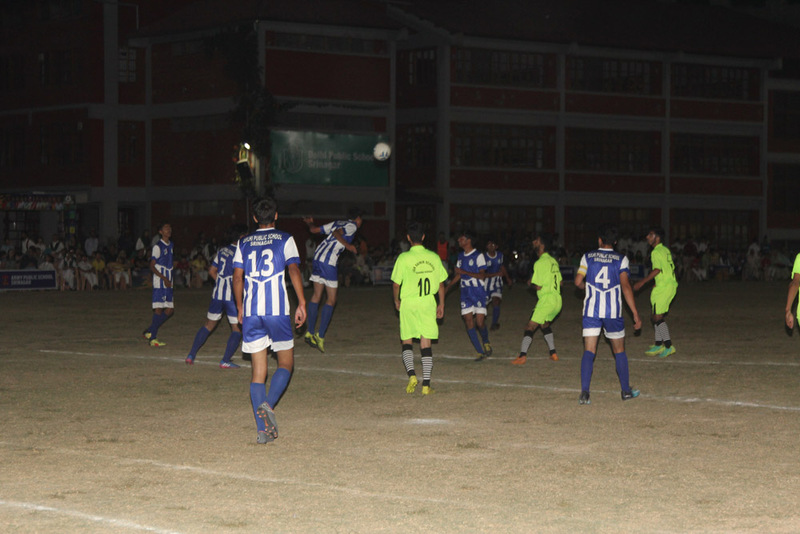 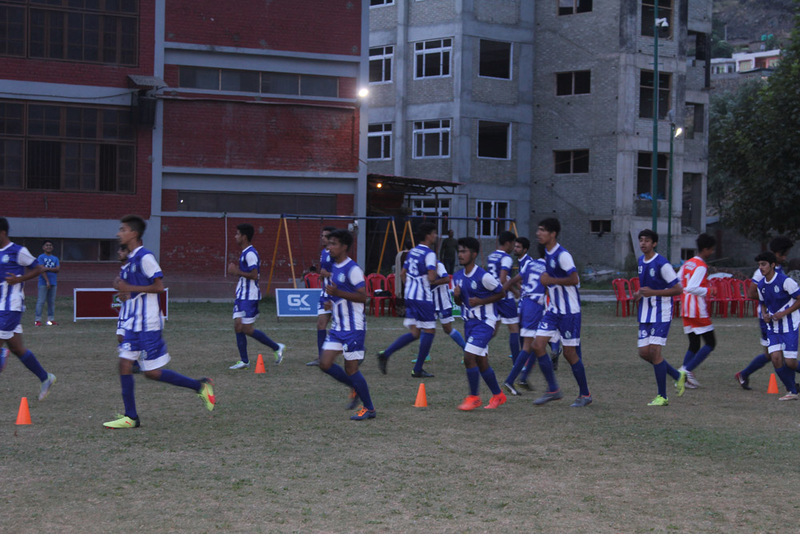 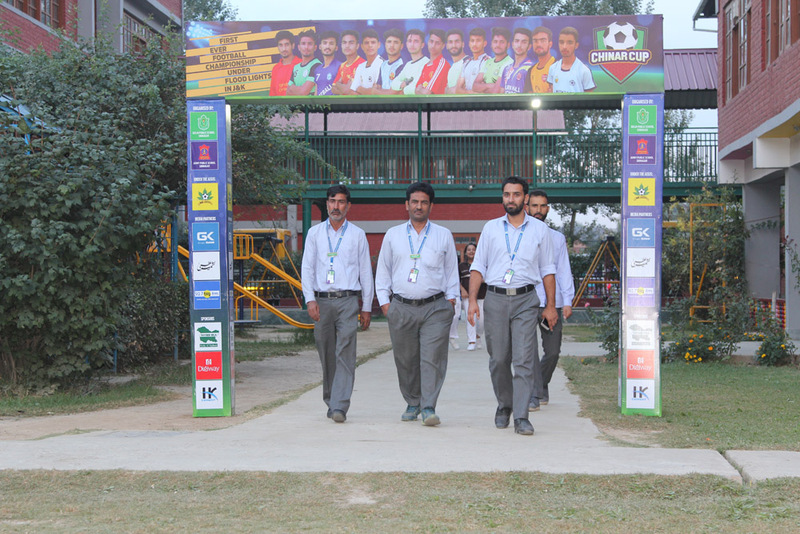 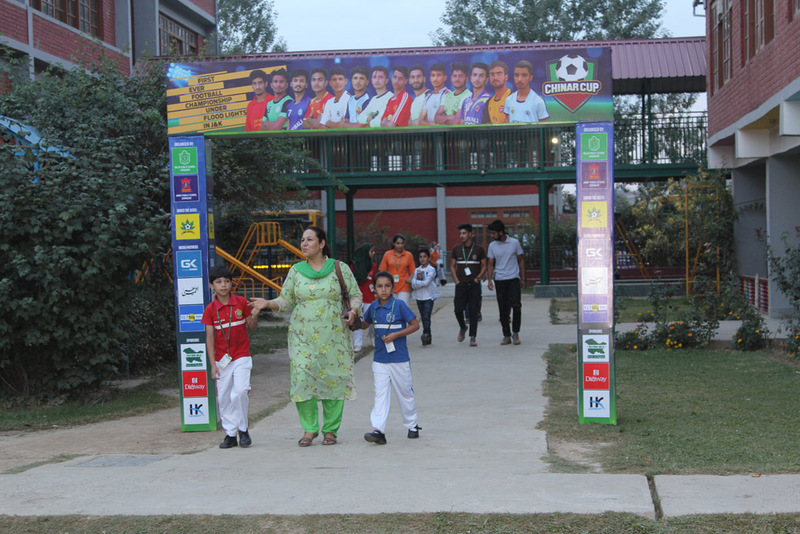 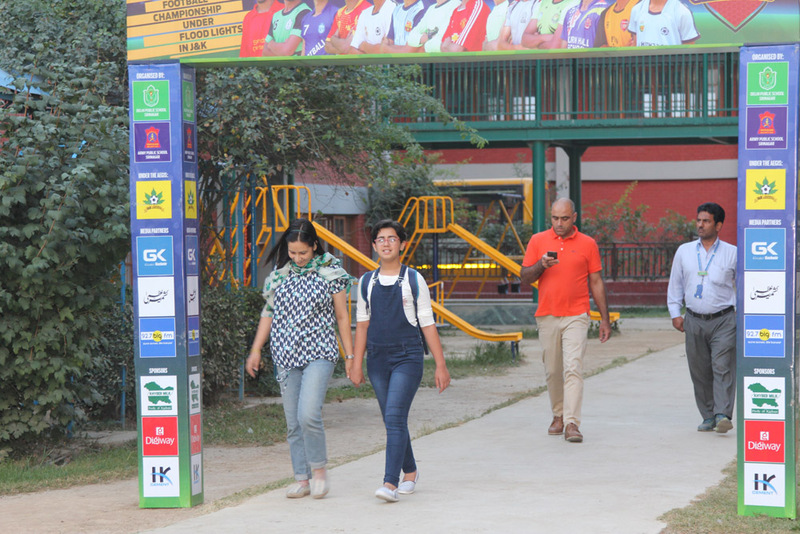 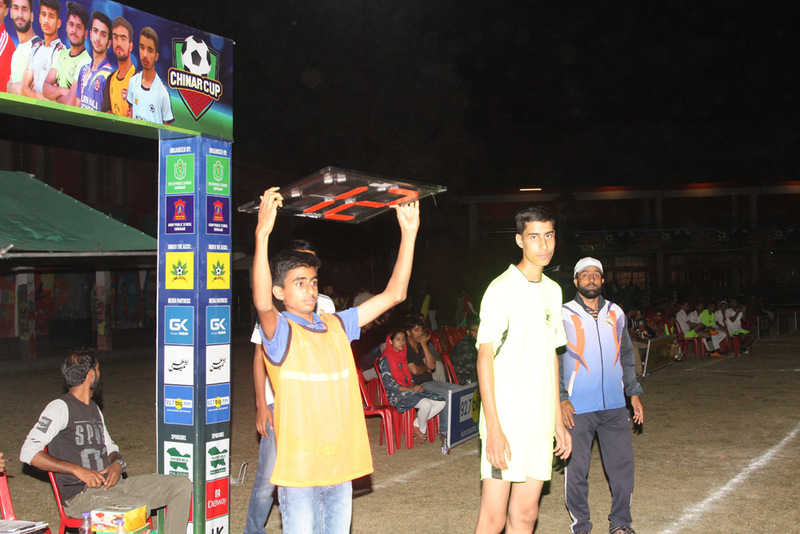 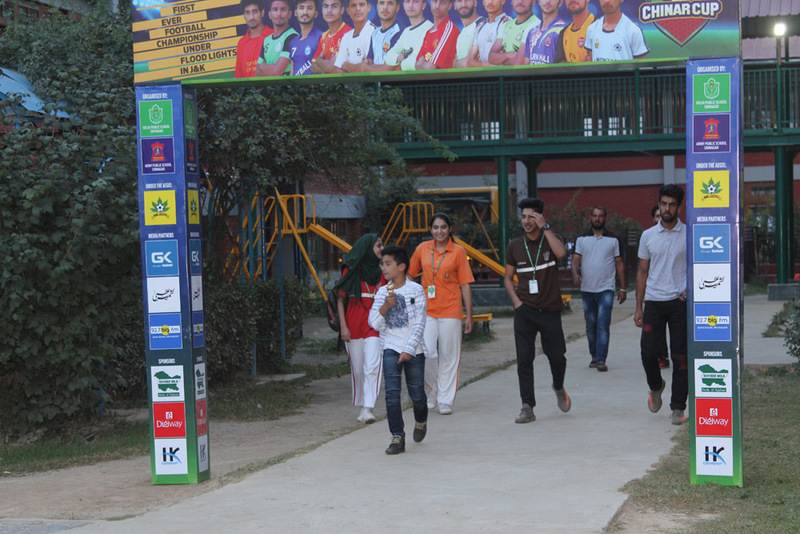 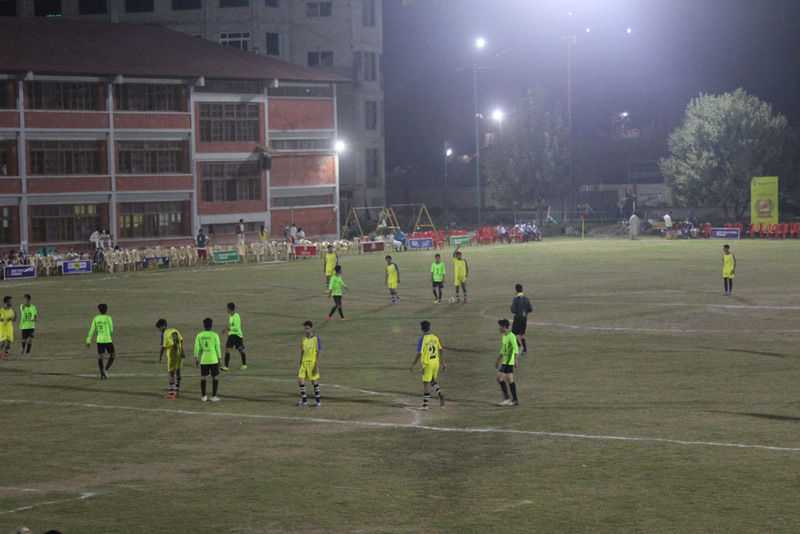 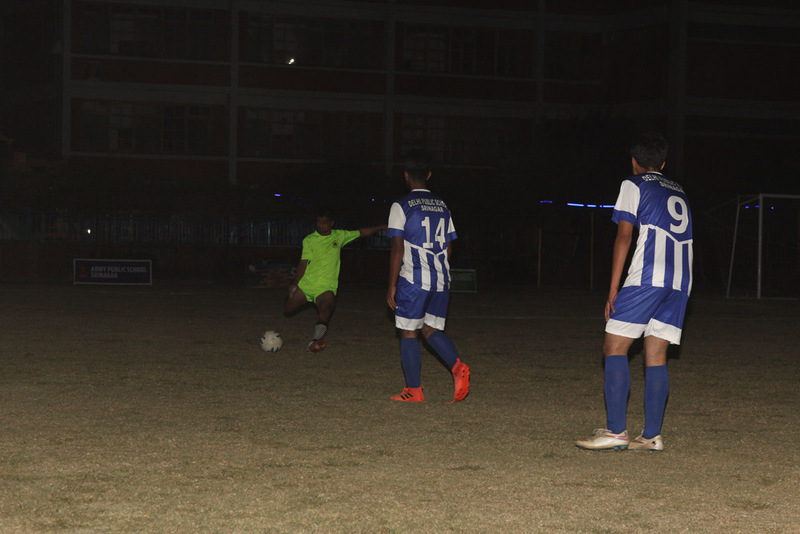 DPS Srinagar is the only school in the country to have a playground where sports activity can be conducted under lights.